KSA was honored with an Award of Merit in ENR Texas and Louisiana magazine's 2014 Best Projects competition for the New Camp Minden Armed Forces Reserve Center. Architect John Selmer, AIA, LEED AP BD+C, was the lead architect on the project. The Louisiana National Guard (LANG) Construction Facility Management Office (CFMO) selected KSA to design the new home of the 1083rd Transportation Company, 39thMilitary Police Company, and the 122nd Air Support Operations Squadron. KSA provided architectural and engineering design and oversaw construction for the 80,000-square-foot facility. KSA used an environmentally sound approach, including diverting approximately 75 percent of all construction waste from local landfills. The facility received Silver LEED certification by the U.S. Green Building Council (USGBC). The primarily one-story building comprises 64,136 square feet. However, a second story at the front of the building features an additional 14,145 square feet for education and training. The Georgian style, complete with classical Doric columns, lends a unique presence to the public. The first floor in the front of the facility contains all the administrative areas, the middle comprises the assembly hall, and the rear of the building provides storage areas. Other components included in the design are a learning center, break area, kitchen, restrooms with showers, military and personal vehicle parking, security fencing, and storage areas. The 28-acre site provides the Louisiana National Guard with space to better equip modern soldiers. The building and associated grounds provide ample training areas, both on the interior and the exterior of the facility. 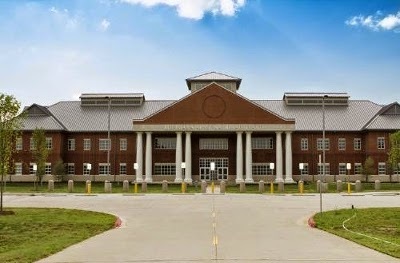 The "H" plan is connected by a large Assembly Hall that functions as a dining hall or as a drill hall during inclement weather on drill weekends. A 12,000-square-foot vehicle maintenance building supports the 1083rd Transportation Company. Sustainable strategies were critical to the success of this project, which featured durable, maintenancefree building components obtained from regional sources. The site was designed to maximize the open space after construction and incorporates existing natural waterways and channels into the design. Materials with a solar reflective index of at least 29 were used at grade and on the roof. Low flow plumbing fixtures reduce the burden on the Camp's water and wastewater systems by up to 30 percent. The landscaping features climate-tolerant plants that thrive on natural rainfall. The LANG required that the building and site also incorporate anti-terrorism force protection. The building location exceeds the minimum standoff distances, enabling conventional construction. Parking lots make use of nine-inch barrier curbs, while additional protection zones provide barriers through large scale natural rock boulders. The building was also master planned to accommodate future expansion, while maintaining the stringent security requirements. Communication between team members was facilitated via a web-based system. "To ensure the swift and accurate transfer of construction phase documents, the owner required a web-based method of communication," says John Selmer, project manager. "Each team member involved with the construction phase received personal login credentials. They then accessed the secure online system to exchange, review, and archive the construction submittals, RFIs, and other design and construction communications. Combined with highly efficient value engineering and a competitive bid market, we were able to deliver the project under budget, while achieving the aesthetic design the client desired." Based in Longview, TX, KSA provides a broad range of engineering, architecture, planning, surveying, and construction services. Founded in 1978, the firm has grown to over 170 employees in multiple offices in the south central U.S.
Schnabel Engineering of Glen Allen, VA has announced the promotion of Joan Bentel, P.E., to associate. 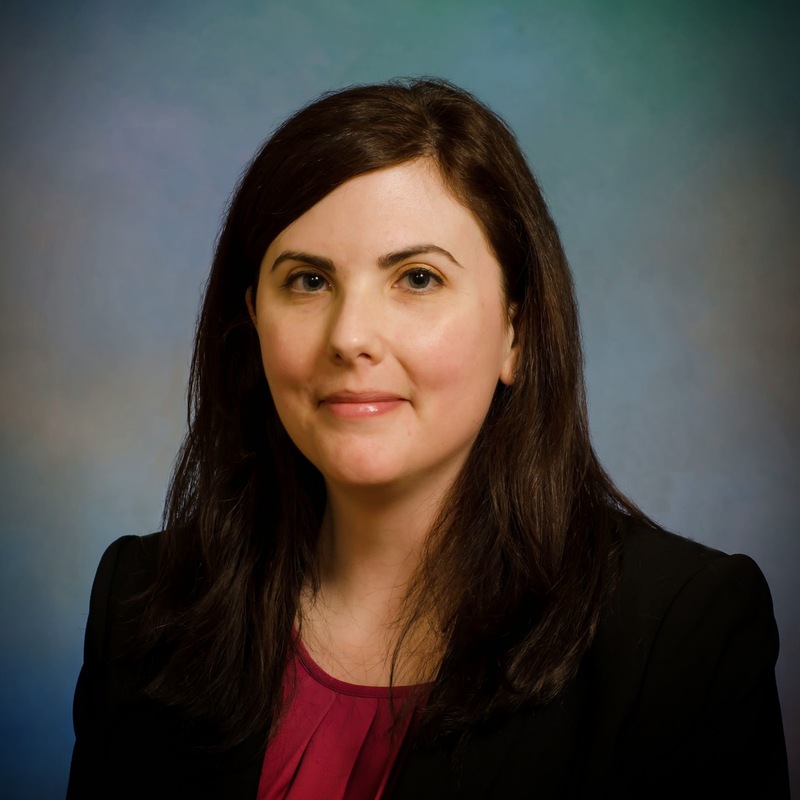 Joan started her career with Schnabel in the Gaithersburg, MD office (now Rockville, MD) over 10 years ago as a senior staff engineer after receiving her B.S. and M.S. in Civil Engineering from the University of Illinois. Bertel has experience with commercial, residential, and government projects as part of Schnabel's Design Phase Service Facilities Group. Her design experience includes all foundation types, pavement, retaining walls, subdrainage, slope stability analysis, and lateral pile analysis. Bertel’s work focuses predominantly in the local DC region, where she has managed over 350 projects. These projects include the Martin Luther King, Jr. Memorial; City Center development; Physical Sciences Complex at University of Maryland College Park; American University East Campus development; United States Institute of Peace; the Ballou and Dunbar High Schools in Washington, DC; Founders Square Development in Arlington; and the cogeneration improvements at the Capitol Power Plant. She has also managed projects for the National Park Service, Architect of the Capitol, and National Institute of Standards and Technology, as well as at all of the local military installations, including Pentagon, Andrews Air Force Base, Fort Meade, Bolling Air Force Base, Fort Belvoir, Fort Detrick, Fort Myer, and Marine Corps Base Quantico. An employee-owned company, Schnabel Engineering employs over 300 professionals in 19 nationwide locations. Schnabel specializes in geotechnical, geostructural, dam, and tunnel engineering as well as environmental, geosciences, construction monitoring, and resident engineering services. For more information, visit schnabel-eng.com. The Massachusetts Bay Transportation Authority (MBTA) has retained the joint venture of White Skanska Kiewit (WSK) as the construction manager/general contractor for the much-anticipated Green Line Extension Project (GLX). National engineering and environmental consulting firm GAI Consultants, Inc. (GAI) will serve as a subconsultant to WSK. This high-profile project involves extending the existing north Green Line branch from its existing terminus at Lechmere Station to College Avenue in Medford, MA. The Green Line extension project is located within the cities of Cambridge, Somerville, and Medford, MA. Five new stations will be added along this branch as well as a single-stop branch at Union Square and construction of a new station at Lechmere. The extension program will be implemented by J.F. White Contracting Co., Skanska USA Civil Northeast, Inc., and Kiewit Infrastructure Co. (WSK), who will serve as the construction manager/general contractor for the MBTA. As a subconsultant, GAI’s Train Control Systems Group will provide final design and engineering, procure equipment, support equipment installation, documentation, and factory testing of complete Commuter Rail Signal Instrument Houses. GAI will assist WSK on three contracts with the MBTA related to the Green Line extension, including procurement of long-lead items; signal installation support, testing, and commissioning for the Fitchburg Mainline; and signal installation support, testing, and commissioning for the New Hampshire Mainline. GAI established its Train Control Systems Group in early 2013 to expand the firm’s transportation services. Founded in 1958, GAI is an employee-owned planning, engineering, and environmental consulting firm providing local expertise to worldwide clients in the energy, transportation, development, government, and industrial markets. The firm has offices in FL, IN, KY, MI, NC, OH, PA, VA, WV, and WI. For more information visit www.gaiconsultants.com.